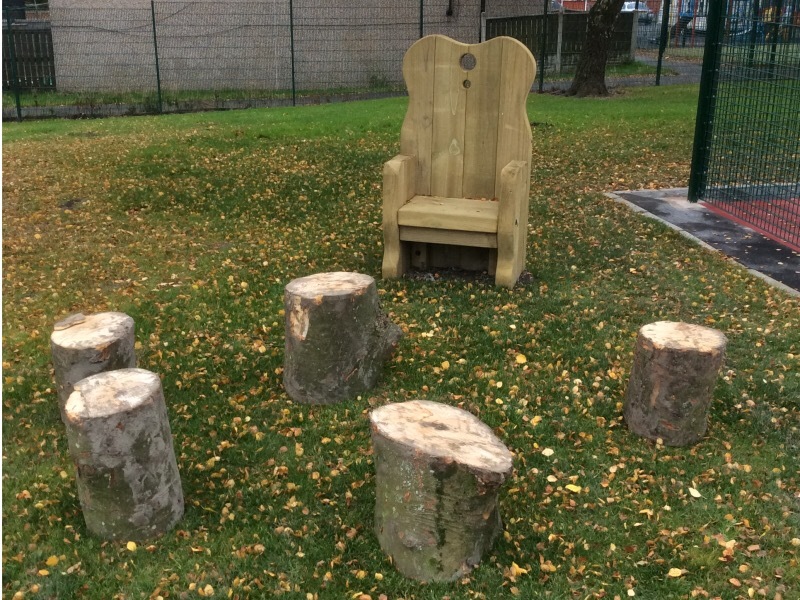 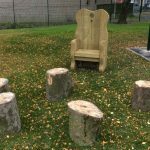 Our latest addition to Longshaw infant play area has been the creation of an outdoor theatre. 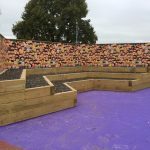 A 3-tiered sleeper amphitheater provides seating for a class of 35 children within an enclosed space to watch the performance. 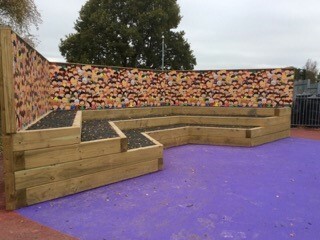 The back drop to the theatre is a bespoke design featuring a selection of children in a variety of happy poses. 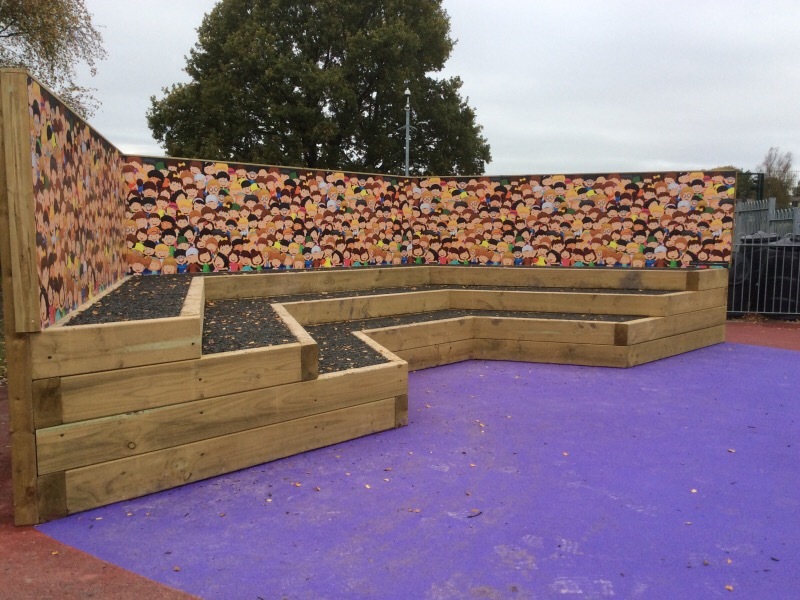 This colourful backdrop also provides a permanent splash of colour in a corner of the school playground. 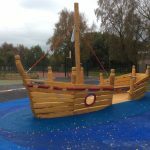 The scheme forms part of a playground revamp which includes a Pirate Ship, a growing area, a mini ball court and a Forest School. 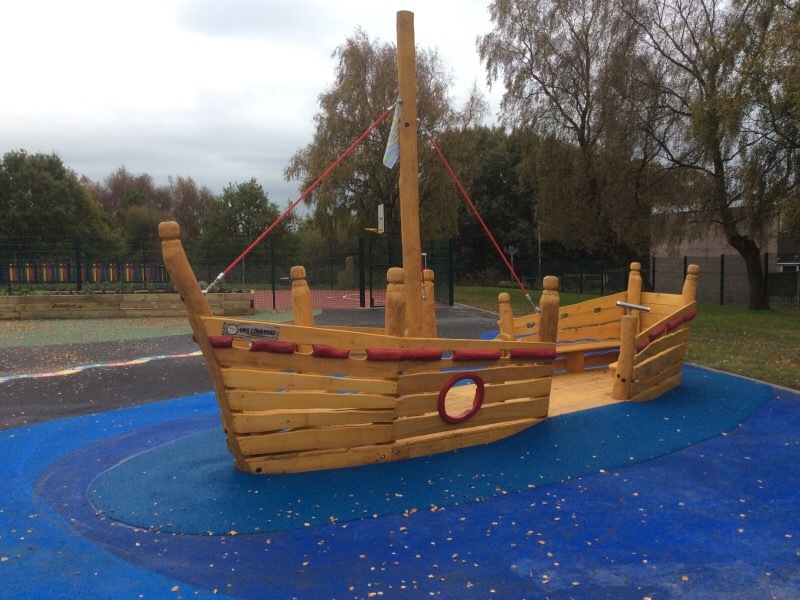 Our designer, Nick Riley, created a series of zones within the play area that would be educational, fun and creative.